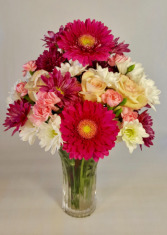 Please order Mom's flowers for Friday so we don't disappoint you! 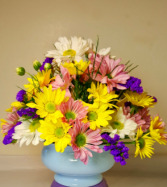 Mother's Day, my friends, is the Super Bowl of Holidays for Fresh Flower design & delivery! Celebrate with Sunflowers! 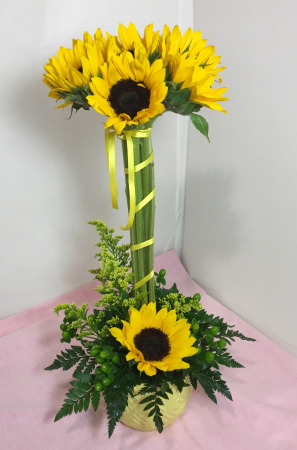 A favorite fistful of sunny blooms stands tall above a nest of Green Hypericum berries, Golden Solidago, and one more sunny sunflower face, because... You just can't have TOO MANY sunflowers! Designed in a beautiful textured ceramic round bowl... perfect to later plant a blooming plant in for the porch. Amazing artistry from the top: Alstromeria Blooms in so many vibrant colors, to bottom: three various color roses, and a ceramic Bird. 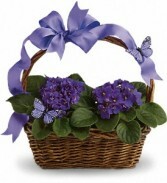 We've selected a deep blue Home Decor container with a bronze plaque that says "HOME" Very nice to re-use for a plant, an african violet, or an artificial plant or flowers Higher Price: more elaborate flowers arranged at base. 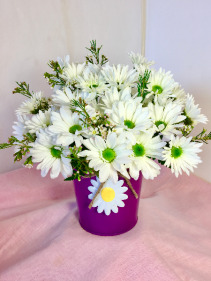 Fresh and affordable purple daisy tin pot, simply bursting with Daisy Pom Poms (these are not feild daisies). 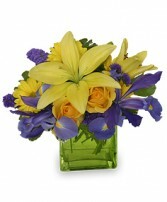 They last for weeks with daily watering, and are a very popular favorite! It's just the right size for small apartments, and bedside tables! 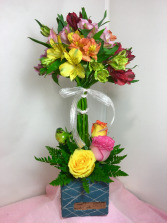 For one rose added to center, order $26.96 option. 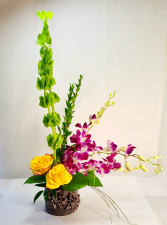 You may state color of rose preference in "Special Instructions" We often but do not always have yellow. 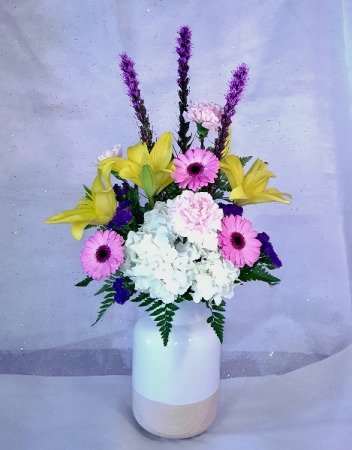 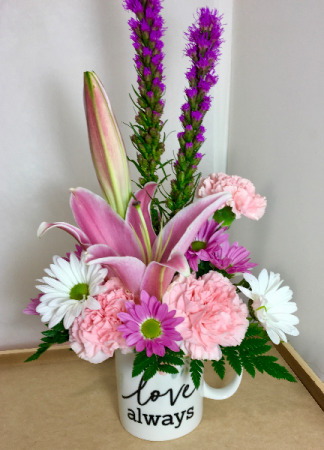 We always have "vibrant colors" other than "Red"
Fragrant Lillies are featured in this flower & gift mug, and the sentiment is perfect: Love Always" Purple liatris, and long lasting pink carnations and daisy chrysanthemums are Spot On spring favorites! 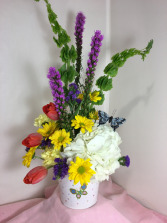 Higher Price$ + More flowers! 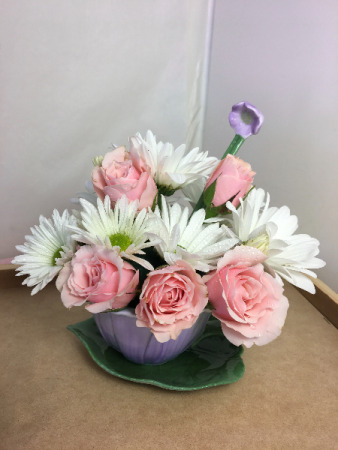 A precious Gift Set of Flower-shaped tea cup, leaf-shaped saucer, blossom-shaped sugar spoon all in lovely porcelain. We fill it with Miniature Sweetheart roses in a pastel color, and some lush daisies! Choose higher price for ALL Miniature Roses.